The demand for critical project management skills keeps on encountering remarkable growth around the globe and there seems to be no backing off. Activated by high attrition rates, retirements, and the rising demand for project talent, it is foreseen that a talent gap will develop in the project management field during the next decade. In fact, the Project Management Institute's recent Job Growth and Talent Gap report estimates that around 88 million project management professionals will be in demand to fill project-related job opportunities by 2027. This spells good news for project managers and related professionals who have the right skills that will continue to be in demand. The following critical project management skills are generally expected by employers when hoping to fill this high-demand leadership role. Gone are the times of project managers being hired in view of their ability to merely "manage" projects. Projects have turned out to be more complex, remote teams are quickly becoming commonplace, and worldwide rivalry and regulations are forcing companies to innovate. In line with executive team functions, project management professionals are being challenged with becoming more strategically aligned in their point of view and activities. In this regard, project managers are expected to deliver projects that are in lockstep with the organization-wide and strategy, not just with departmental goals. Project managers should have the capacity to link every activity, task, and achievement back to high-level objectives in order to produce the most value possible for the company. The ability to anticipate, recognize, and plan for potential risks is an essential skill and one that requires total focus and attention to detail. Project managers and their teams must be situationally aware in order to see tasks and activities from different angles. In doing so, a project manager can recognize changes before they become risk points and develop risk strategies that are proactive as opposed to reactive. Therefore, organizations can prevent financial loss and other negative effects before they even begin, rather than stemming the tide of an ongoing loss. In the event that a project manager does not have this ability or the skills is not well-developed, there can be disastrous consequences for both the project and the organization as a whole. Successful project managers play an important role in mentoring and motivating their teams and other stakeholders. Delivering an item or service to a customer without this skill is likely to produce dismal results, as simply demanding peak performances from team members does not build high-performance teams. Rather, high-performance teams are the result of having faith in their leadership and feeling positive about their organization. With the end goal to build up this faith, executives and project managers must mentor and motivate. It is a project manager's job to develop an understanding of the organization, the culture, and what motivates employees for increased success. Make sure to remain reliable, accountable, and transparent. Being agile means being able to learn, move, and adjust rapidly and effectively. Most project managers spend their days racing from one meeting to another, filling out status reports, updating timetables, continually maintaining project buy-in, and putting out fires. Since a project manager is relied upon to have the capacity to think on his feet and quickly adjust to potential dangers, agility is a critical project management skill. Being agile as a leader also means being able to recognize when and how to use technology to create work process efficiencies. It is highly unlikely a project manager will be hired or retained without this skill. Time is dependably hard to find while managing projects, yet it is something project managers continually have on their minds. Since tasks seldom go as indicated by schedule, with just 52% of projects completed on time, as per PMI, the ability to quickly identify the status of tasks and make quick, calculated decisions around resource allocation is an essential and desirable skill. At the point when put to good use, effective time management can greatly enhance an organization's margins over time by better-utilizing resources. 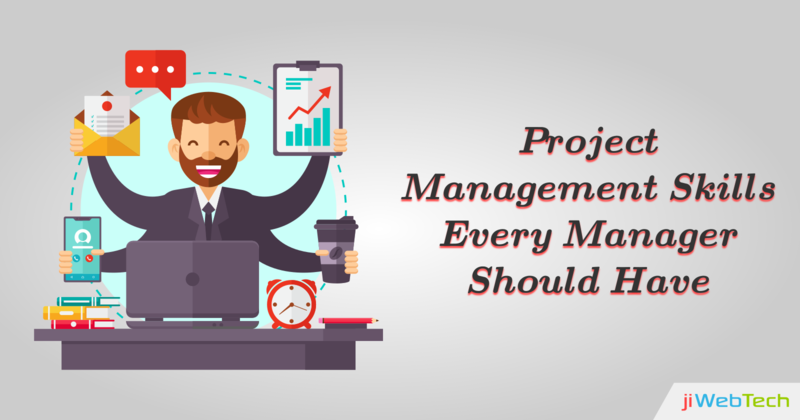 As the project management field keeps on observing staggering growth globally, top project managers who have these critical project management skills will be in high-demand. Having the right management skills, joined with leveraging the best project management tool, can position you well as a leader.